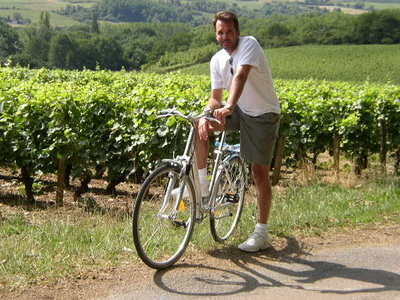 2005 Bourgogne, Paris - James W. Lett, Ph.D. These photographs and notes are from our trip in July. 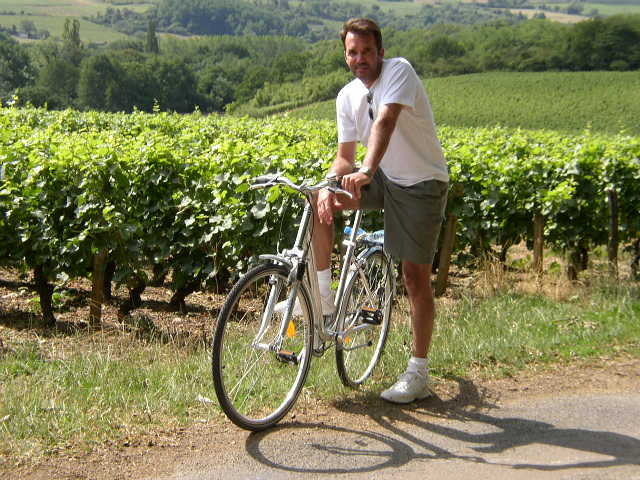 We stayed in Paris for a couple of days, and spent a week cruising the canals and rivers of Burgundy from Dijon to St. Léger-sur-Dheune. 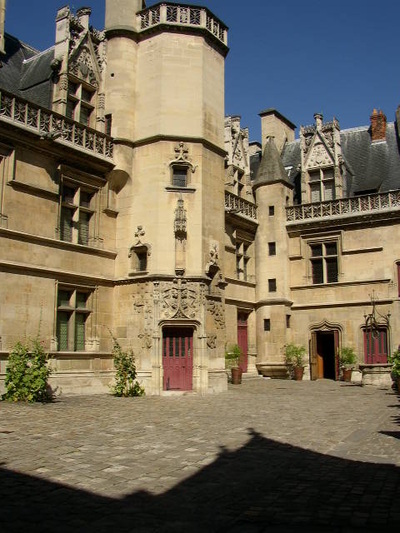 Formerly known as the Musée de Cluny (named for the Abbot of Cluny, who purchased the Gallo-Roman ruins that stood on the site in 1330), the Musée National du Moyen Age contains one of the world's finest collections of medieval art (highlighted by the famous Lady with the Unicorn, a series of six tapestries in the millefleurs style that was woven in the southern Netherlands in the late 15th century). The museum includes the remains of Gallo-Roman baths that were built in 200 C.E. 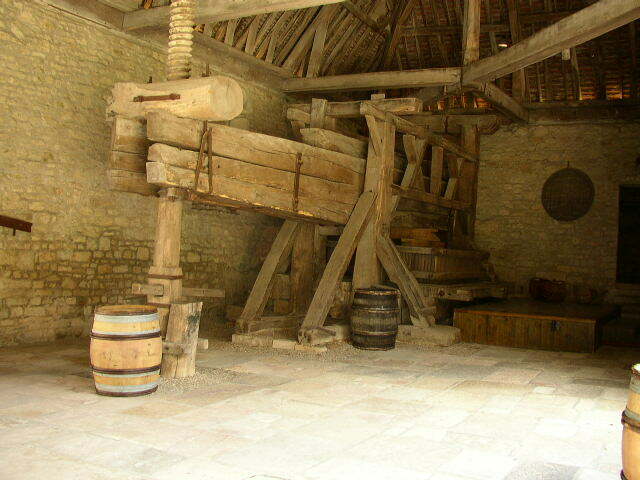 and later incorporated into a medieval mansion. This photo shows the rear of the building, where the medieval gardens have recently been imaginatively recreated using the principles of landscape architecture that were popular at the time. This photo of the former Cluny shows the courtyard and main entrance at the front of the building. Like many regions in France, Burgundy is crisscrossed with an intricate network of navigable canals and rivers. 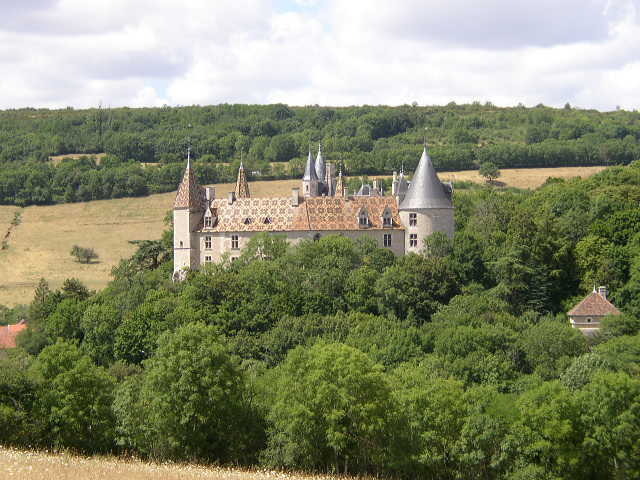 We cruised from Dijon to St. Léger-sur-Dheune in a generally south-southwest direction along the Canal de Bourgogne, the Saône River, and the Canal du Centre. 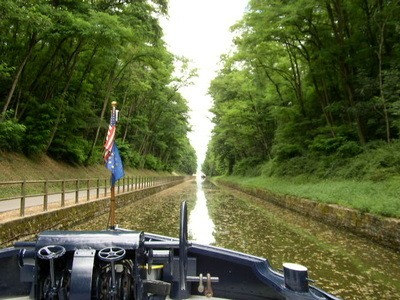 During our cruise in Burgundy, we passed through about 40 locks to accommodate the changes in elevation in the rolling countryside. 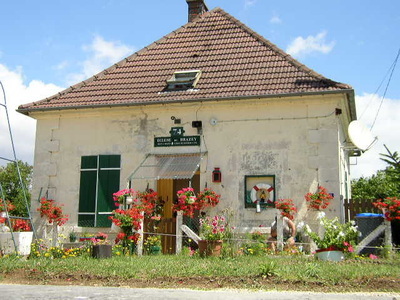 Many of the locks (écluses, en français) feature charming little cottages for the lock tenders, such as the one in this photo. 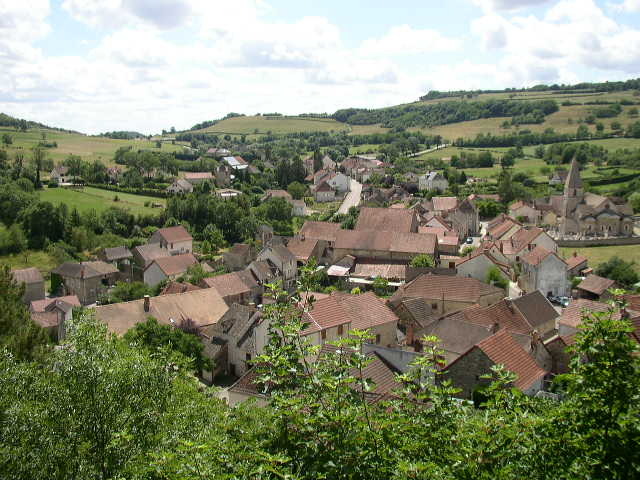 The Burgundian countryside is a picturesque mixture of ancient villages, vineyards, and sunflower fields. 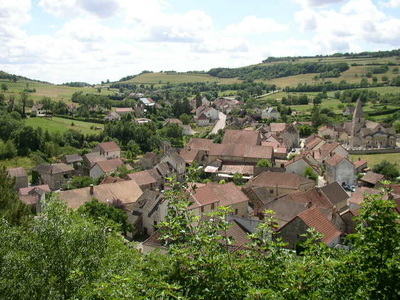 The village of Rochepot is pictured in this photo, as seen from the Château de la Rochepot. This picture was taken on the road between the villages of Santenay and St. Gilles, when we left our barge to spend a couple of hours on bicycle. The 12th century Chateau de la Rochepot was badly damaged during the French Revolution and remained an abandoned ruin until the late 19th century, when it underwent major restoration. 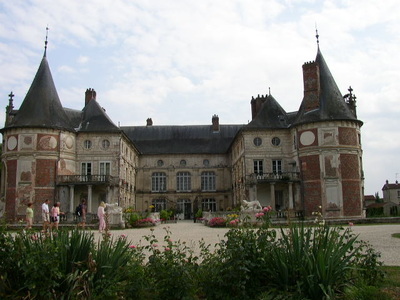 This photo shows the interior courtyard of the Chateau de la Rochepot. 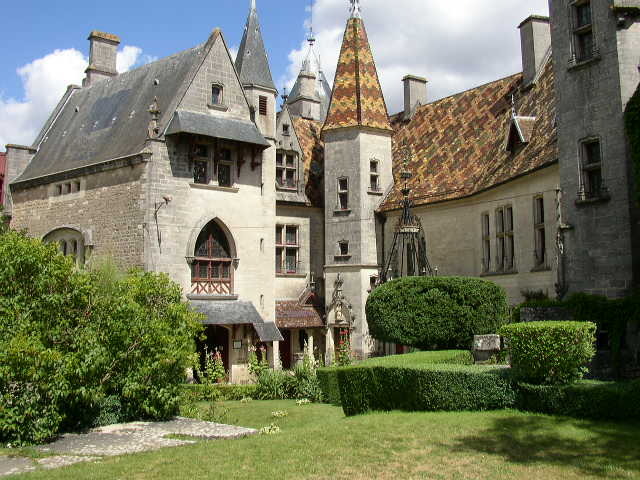 The multicolored glazed roof tiles are characteristic of Burgundy, and were copied from the famous 15th century hospice in nearby Beaune. The 18th century Chateau de Longecourt has been the private residence of the Counts of St. Seine for generations--the current owner and occupant was gracious enough to allow us to tour part of the house and the grounds. 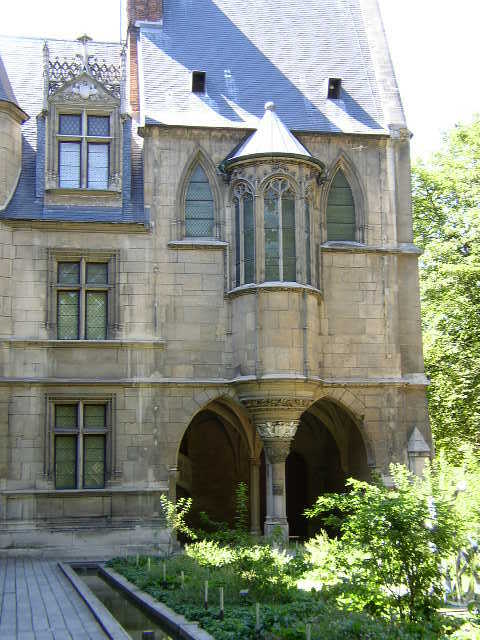 The building is perfectly habitable and comfortable, but it could benefit from substantial restorations--there were landscaping and painting projects that I was tempted to begin immediately. The Count didn't share my sense of urgency about the need for upkeep, however: when we arrived, he was contentedly making jam on a rickety wooden table set up in the main courtyard, apparently unperturbed by the weeds growing up among the paving stones in his dry moat. 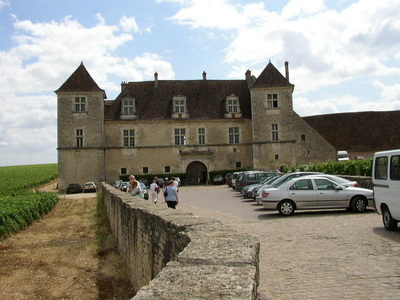 The Clos de Vougeot is a former medieval abbey on the Côte de Nuits; today it's the headquarters of the Chevaliers du Tastevin, whose special label is awarded annually to the finest Côte-d'Or vintages. The Clos de Vougeot is surrounded by vineyards that date to the 12th century (the hand carved wooden wine press in this photo is a medieval artifact).